Psoriasis home remedies that work is what my readers are often asking me to share. So finally, I have gathered here in a single article the most important recommendations for a 100% natural supplemental care for psoriasis. Patients suffering from psoriasis know this well: hundreds of recipes and tips are offered online and off line and it is alas very difficult to find what’s right for us. So I hope that this will help a little. Remember that psoriasis is a skin disease that gives the dermatologists some hardship and that at the moment only “comfort” treatments are practiced, as it is not yet possible for any medicine to “cure” psoriasis. Fortunately, vegetable oils have the particular effect of improving the comfort of people with psoriasis. In this article, I am presenting to you the interest of the “macerated calendula” which soothes the itching, “shea butter” and “borage oil” that hydrate and repair the suffering epidermis, and finally about the “evening primrose oil” by internal intake which is known to mitigate the effects of chronic inflammation. It is also necessary to combine all this into simple and realistic care administrations. Several natural methods are suitable for your daily personal care which will not harm the natural pH acidity of the skin. For a soft and adapted bath, learn how to chose your soap. The ideal being a foaming gel without the mention “organic certified soap”, in the baby department of organic stores or, failing that, an extra moisturizing natural soap. Two to three times a week, wash gently, think of the white, pink or yellow clay that you can use to wash your body: in the shower, once the body slightly moist with lukewarm water, close the tap then gently rub yourself with a good handful of white, pink or yellow clay powder. The powder turns into cleansing milk. Opt for a paste of white, pink or yellow clay, bought commercially in the clay masks section. Then use the clay paste as a cleansing “cream” and then rinse with lukewarm water. Once the skin is dry, apply a thin vegetable oil and softener such as borage oil or argan oil (or cream), making a circular massage so that it penetrates well. Baths are also recommended in the case of extended psoriasis, with a maximum of 3 to 4 per week. Always take them warm (30° – 34° C ~ 86° – 93° F) rather than warm, so as not to increase pruritus or inflammation. In the bath, pour at first a cup of pink or yellow powdered clay, with ½ cup of baking soda (optional). The goal is to make the water softer, soothing and emollient. Once in the bath, pour on a natural sponge the equivalent of 2 or 3 tablespoons of oil of borage, sweet almond, jojoba, kernels of apricot or argan. Massage the entire body with the oily sponge while soaking in the water for about 15 minutes. Rinse with lukewarm water before drying by dabbing with a towel. The skin will be softened, clean and well soothed. 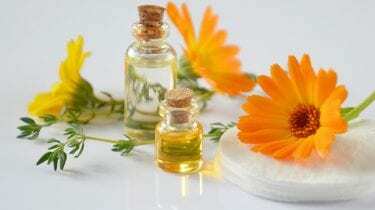 6 drops of essential oil of German chamomile (matricaria recutita), or if not available, of lavandin or true lavender. If you are officially allergic to any of the essential oils mentioned above or if you should not use it on medical order, simply do not add it. Use a spatula or a pestle to obtain the salts soaked in oil. sprinkle the preparation into the bath water. Stay immersed for at least 15 minutes in the bath. You can rub gently with a moistened natural sponge. When leaving the bath, dab carefully with a towel, without rinsing. You can repeat this aromatic bath once or twice a week at the maximum. It is important to enjoy it as a relaxing moment. Once the skin is clean, it is beneficial to massage the body and especially the psoriasis areas with an emollient, moisturizing and repairing product at a time. If the zones are not too extensive, the shea butter is necessary. The shea butter repairs, protects and fights against inflammation. On the other hand, it is a little more difficult to apply than an oil since you must first heat in the hands to make it penetrating. It is ideal if your psoriasis areas are the size of a hand for example. For larger areas, organic borage oil is very suitable. Rich in good omega 6 fatty acids, it prevents inflammation as well as it hydrates and softens the skin. If the psoriasis is stubborn or in place since a long time, you need to test the oil of nigelle. It sometimes has a very rapid effect on the most difficult cases. The aim is in reality to give more comfort to the skin. You can vary the pleasures by massaging with, one after the other, the borage or the nigelle, or even the argan or the calendula. This last oil is a must if the itching is very present. 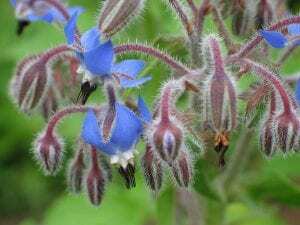 As for the psoriasis at the roots of the hair or in the ears, borage oil works well in those places. We can treat the well-circumspect psoriasis plates at the roots of the hair or ears with borage oil. For psoriasis of the scalp, practice as often as possible a capillary bath with calendula oil or sweet almond by massaging the generously soaked plates and letting it rest for at least 1 hour before rinsing with a very soft shampoo. If you like, you can make your own specific care oil, enriched with essential oils to benefit from their healing, sanitizing and anti-inflammatory action. 1 tablespoon oily macerate of calendula. If you are officially allergic to any of the essential oils mentioned or if you should not use it on a medical order, simply do not add it. Do not use the recipe on a child under 3 years of age. Not suitable for pregnant women. Apply this oil with a little strange odor twice a day on the affected areas after having cleaned and dried gently. Use this oil daily, until you notice a significant improvement. If you know of any psoriasis home remedies that work well for you, please share them with us in the comment space below so that we can all benefit. I also recommend night clothes with silver strands. It’s extraordinary against itching! These are tee-shirts, leggings and combed cotton gloves woven with silver thread that cleanses and reduces irritations. They are worn in the evening as pajamas, or during the day under the clothes in difficult cases. 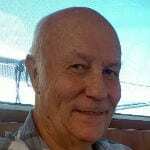 I recommend a daily intake of evening primrose oil capsules. According to the brands, there will be 2 to 4 capsules of evening primrose oil to take at meals. And finally, throughout the day, also remember the pleasure of living without stress. Favor some moments of relaxation, the escapades in the sun (a friend for psoriatic skin, in moderation nevertheless). Avoid tobacco, alcohol, drugs and stimulants. My little friendly tip: Do not let your psoriasis take all the space in your mind. Think of it positively during the treatments (positive thinking stuff here) and put some love in your hands. Then, do not think about it any more and try not to be embarrassed to expose yourself. I enjoyed your article. I also use Evening Primrose as one of my daily supplements. It helps when I have a Lupus flare with the lesions. I was wondering if your receipe for the bath would help to sooth aching muscles and joints. Some of the oils you are using might be soothing for your muscles as well. People with auto-immune diseases usually have hair loss and I use Evening Primrose every day as one of my herbal supplements to help with that and the many other benefits the primrose offers. Thanks for your comment and input Deborah. I did enjoy reading your articles too. A lot of skin problems, and I could even say health issues, can be helped with natural remedies, proper diets and the right supplements. I am all for natural healing and a good diet. My wife is very good at keeping us healthy with a balance diet. We do visit our family doctor regularly for checkups but it is usually a quick in and out, checking blood pressure, heart beat, and sometimes sent for blood analysis. Take good care of yourself Deborah and I wish you a very healthy life. Thanks for the detailed instructions on your holistic cures for psoriasis, and sharing what has worked for you. I don’t have it, but as a massage therapist, I have encounter many clients who suffer from it and this information is great to pass onto them. Thanks very much for your comment Penelope and also for passing on the information to your clients that could be interested. I look forward to seeing you on this site from time to time and if you have any questions please feel free to post them in this section so that other readers can benefit from the answers. I wish you a very healthy life. This is an amazing article, and I will bookmark and send this to my sister, who suffers from psoriasis and has tried to find natural cures and relief. I especially like the skin care oil mixture with the essential oils. Obviously you know what you are doing, and this is a great site. I also love the idea of the aromatic bath salts. I think borage oil is also used for thinning hair! My sister will be thrilled to see your website. Thank you…! You are quite right, borage oil can also be used tor thinning hair. I hope that your sister will find relief for her psoriasis one way or the other. I love the idea of natural supplements. I try to use these when ever possible, instead of running to the doctor for a prescription. My son suffers from psoriasis and we have tried so many different things. Gets kind of frustrating as they all promise to help, and most don’t. Well they help somewhat, but not to what they advertise. 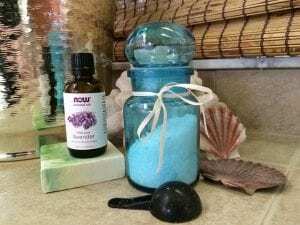 I love the idea of using bath salts and oils. My son does like to take baths, to this works. Thanks for all the great information! Thanks very much for taking the time to comment on my article Leahrae. I’m sorry to read that your son is suffering from psoriasis. The first thing to think about is for him to have a balanced diet. Unfortunately, there are foods that he will have to avoid, and some that he should eat more of, but it is not that drastic, it is just a matter of getting used to it, and it is really worth it. I am about to post an article that contains a recipe, and to answer requests from many of my readers, I will regularly include recipes especially designed for psoriasis sufferers. I hope that you find the right remedy for your son and I wish him the very best.